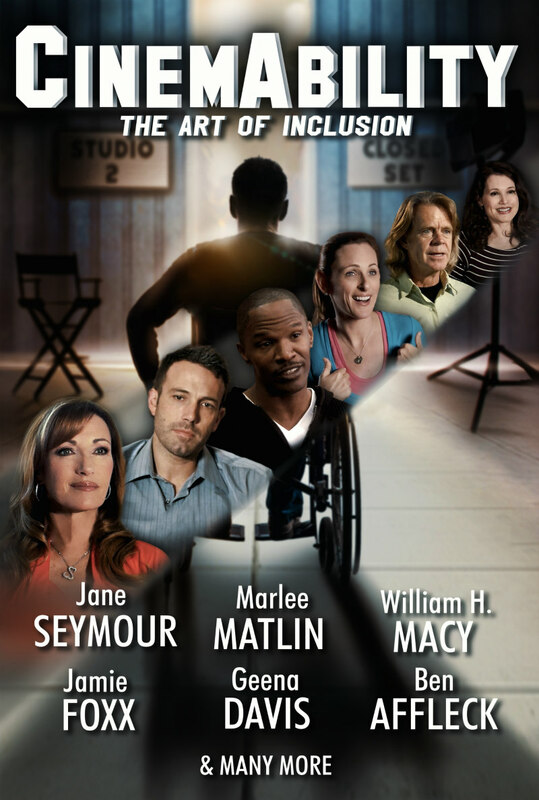 Documentary explores Hollywood's portrayal of disability. In a moment of brutal honesty in new documentary CinemAbility, Lethal Weapon director Richard Donner talks about the first time actor Danny Glover was suggested for that film's second lead role. "But he's black," was Donner's initial reaction. As Donner confesses, he had fallen into the trap of assuming whiteness as the default for any characters whose ethnicity wasn't explicitly mentioned in the script. 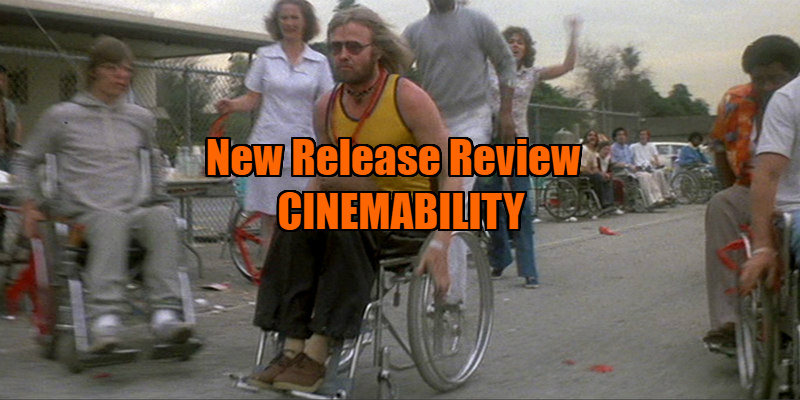 The focus of CinemAbility isn't race, it's disability, but Donner's anecdote serves as an insight into the minds of the able-bodied filmmakers who call the shots. The director of CinemAbility is Jenni Gold, who became the first wheelchair using female member of the director's guild, so it's clearly a subject close to her heart. Hosted by the eternally youthful Jane Seymour, CinemAbility examines Hollywood's portrayals of the disabled from the silent era to today, and boasts an impressive roster of interview subjects including Jamie Foxx, Ben Affleck, Geena Davis and Marlee Matlin. It becomes clear early on that things are arguably worse for disabled actors now than they were as far back as the 1940s. Gold's film highlights how Lionel Barrymore's career continued unabated when he became confined to a wheelchair and how Susan Peters actually became a bigger star after losing the use of her legs. Veteran disabled filmmakers and actors discuss the importance of TV show Ironside, in which Raymond Burr, though able-bodied himself, offered a dignified and positive portrayal of a wheelchair user on a weekly basis from 1967-75. The controversial subject of able-bodied actors portraying disabled characters is discussed, with the disabled contributors divided on the subject. Some compare the practice to blackface while others cite Daniel Day Lewis's Oscar winning performance in My Left Foot to support the notion that such a role should go to the best actor, regardless of their real-life abilities. The film also explores Hollywood's use of Little People - which initially took me aback as I had never thought to include such a group among the disabled - but it misses the opportunity to discuss the growing practice of digitally 'shrinking' actors in fantasy films like The Hobbit and Snow White and the Huntsman rather than employing Little People, as was previously the practice, offering Warwick Davis a lead role in 1988's Willow for example. While CinemAbility gives disabled stars a chance to discuss the setbacks they've faced in the industry, it never really challenges those responsible for their marginalisation. Neither Foxx nor Affleck are asked if they had any misgivings about portraying blindness, and Gold doesn't question any casting directors on their profession's lack of inclusion. While a more hard-hitting approach would have been appreciated, CinemAbility is a well researched slice of film history, one which may prompt you to jot down a few movie titles for your personal 'to watch' list. If you find yourself asking "why couldn't that character have a disability?" while watching future movies or TV shows, it's served its vital purpose. CinemAbility is on VOD October 5th.